Elvis Presley. . 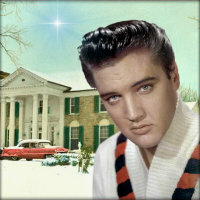 Images in the Elvis Presley club tagged: photo elvis presley the king christmas. This Elvis Presley icon contains potret, headshot, closeup, and headshot closeup.